The lower part of a bow brooch of uncertain type. The catchplate has a triangular aperture. The lower part of a Roman bow brooch, possibly of Colchester type. The catchplate has a triangular aperture. 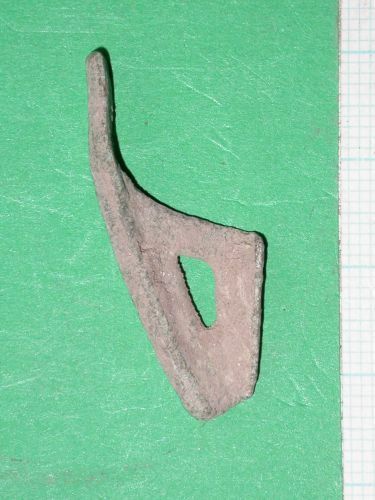 The lower part of a Roman bow brooch, probably of Colchester type. The catchplate has a triangular aperture. The lower part of a brooch of Colchester type. The catchplate has a triangular aperture.